The annual rite of passage known as the Three Point Stance Magazine Training Camp Road Trip began its 2016 journey at the home of the 2015 AFC North Division Champions. While there are a few changes this year for the Bengals, many of the pieces return, and are poised for another run at a title this fall. 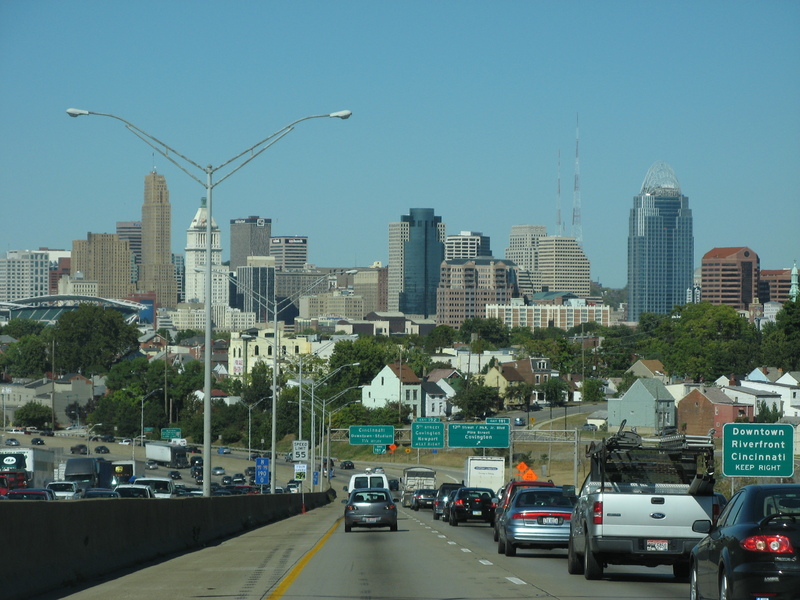 Our roadtrip starts with one of my favorite parts of any trip to the Queen City, as you head north on I-71 from Kentucky, you take this big sweeping turn, and then BAM, downtown Cincinnati. It gives you the first peek at Paul Brown Stadium, and on gamedays is a sight to see with this blast of orange coming from the upper deck. 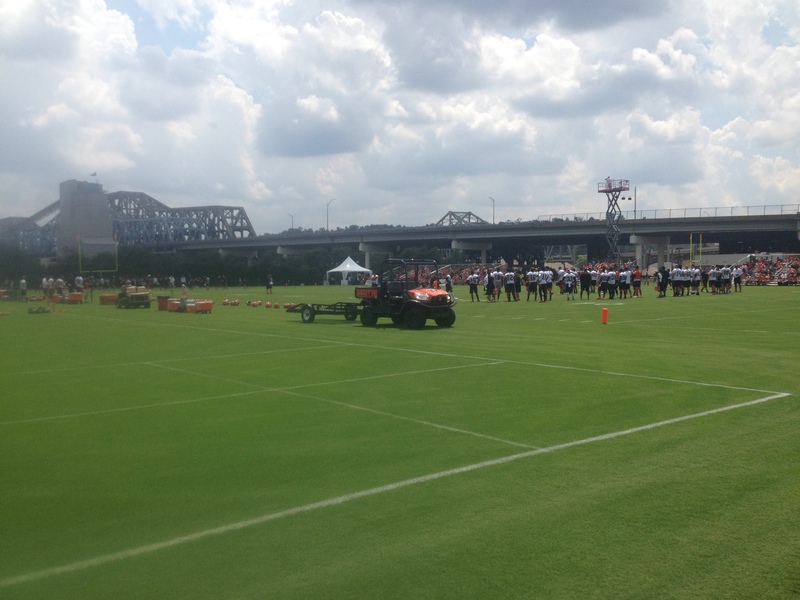 I arrived at the practice fields, just west of PBS, about an hour before practice was scheduled to begin. 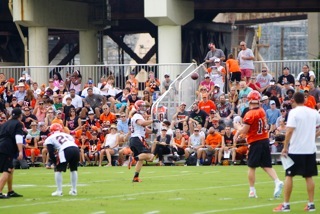 The Bengals have held five straight training camps at this location after spending 43 seasons off site at Wilmington College (1968-1996) and Georgetown College (KY) (1997-2011), and there were already over 100 fans lining the northern side of the fields awaiting to enter and see their team. Once inside, the players who had already made the walk across the street, were already on the field going thru position drills and warm ups prior to team stretching and calisthenics at 3pm. Gorgeous day, 85 degrees and a handful of clouds in the sky, awaiting the start of camp. Once you walk thru the iron gates on the northeast corner three giants expanses of grass await players to come and earn roster spots. Three different sections of bleachers sit in between fields two and three, with the constant clicking and clacking of the elevated railroad immediately west of the facility. Offense decked out in white uniforms, defense in black, and quarterbacks in orange jerseys on this first day, players in helmets, shells, and shorts, but even though there is no contact, there is a lot of competition the moment the players stepped onto the field. Two scissor lifts with cameramen perched atop catch every rep for coaches to evaluate in film session after practice. On these days, the coaching is done in dimly lit film rooms breaking down video, not on the practice field. If you don’t know it when you step on the field, you will hear about it. After a 10 minute session, right into 11-on-11 drills. Every play a different look, formation, motion, and play call. The coaches throw a multitude of items at the 85 or so players on the field, and the cameras see it all. On this day, in no pads and with no bump and run coverage or a live pass rush, Andy Dalton went 14-for-17 in 11-on-11 action, looking crisp and like he is in mid-season form. While his form is on point, the offense leans on Dalton’s leadership as well. One thing Cincinnati is going to have to get better at is finding new weapons for Dalton in the passing game. Though the team motto for 2016 is “Pound the Rock”, spreading the ball around to playmakers is going to be just as important as the running game this fall. Gone are recievers Mohammed Sanu and Marvin Jones, and Pro Bowl Tight End Tyler Eifert is on the shelf due to injury, so young guys like Jake Kumerow and C.J. 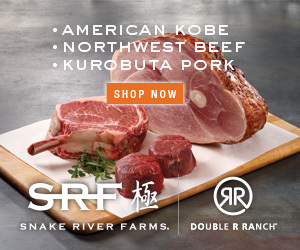 Uzomah, who are both big and quick, could benefit from those abcenses. Tyler Boyd, the rookie from Pittsburgh, could fill in as a Wildcat option, can also sling the ball a bit, as he hit hit a bomb to Brandon Tate early in 11v11 work. At this point, the Bengals are loaded to make another run, but without Hue Jackson as offensive coordinator, there is skepticism about what they, and more importantly Dalton can do in 2016. 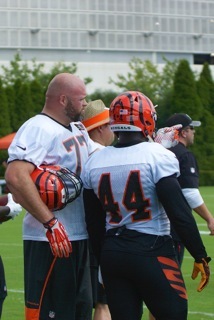 With new OC Ken Zampese at the helm, many are buying in to his methodology, including veteran lineman Andrew Whitworth. Not lost in the details though is that playoff monkey still secrurely strapped to the back of the Bengals franchise, which has no playoff wins since January 6th of 1991. Just for perspective, that win was against the Houston Oilers, who are about to kickoff their 19th season as the Tennessee Titans, and both the Rams and Raiders played in Los Angeles. 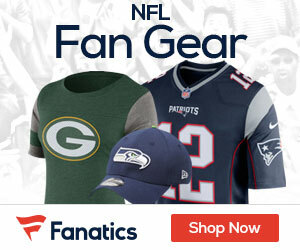 Needless to say, there are many who are ready to exercise those demons, but you have to get to the playoffs first. Our next stop on the Three Point Stance Training Camp Road Trip takes us to Nashville to see Marcus Mariota and the Tennessee Titans. Stay tuned to @3PSMag on twitter and instagram, and 3PSMag.com for the latest stories from camp.